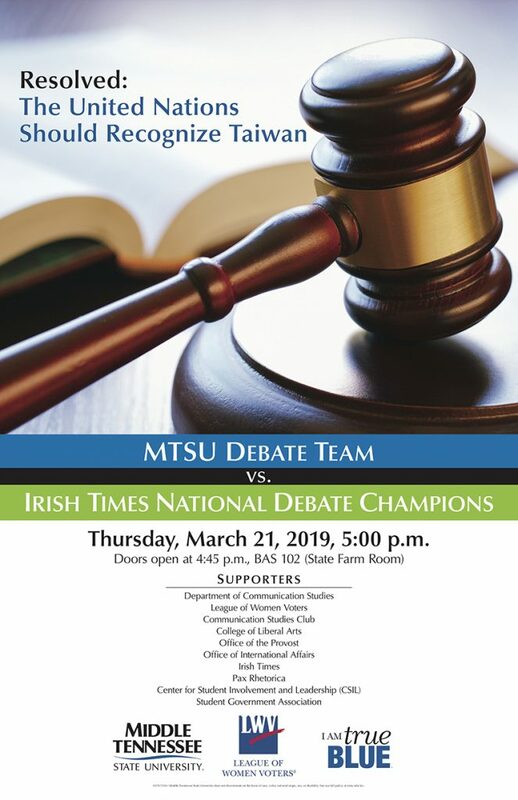 MTSU’s Blue Raider Debate team is again hosting the Irish Times National Champions for a friendly exhibition, the first of several university stops in the U.S. for the three-member Irish team. 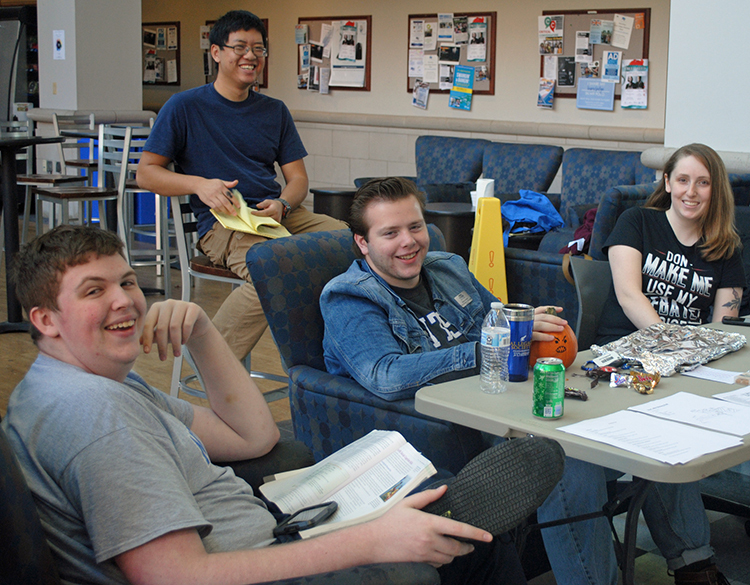 Debating the topic of whether the United Nations should recognize Taiwan, this year’s exhibition will begin at 5 p.m. Thursday, March 21, in the State Farm Lecture Hall of the Business and Aerospace Building. The event is free and open to the public. “Hosting the Irish contributes to international cooperation and exposes those involved with the debate different ideas in a friendly yet educational manner,” said Pat Richey, MTSU debate team coach, director of forensics and an associate professor in the Department of Communication Studies. 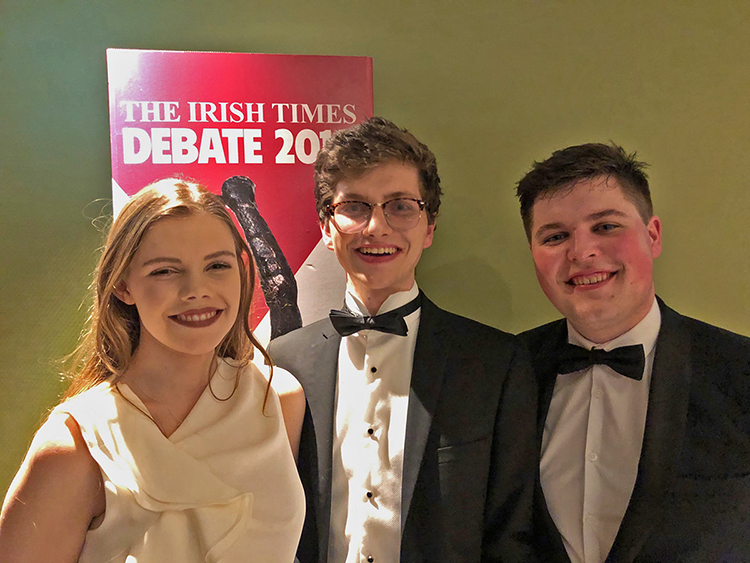 Representing the Irish team are Daniel Gilligan and Ronan Daly from Trinity College and Aishling Kinsella of University College Dublin. Gilligan is studying law and political science, Daly is majoring in history and political science and Kinsella is majoring in physics, focusing on astronomy and space science. The group is excited about their trip to the U.S., and not just for the debating. Moderating the exhibition will be MTSU student Allison Haslett, a political science major from Smyrna, Tennessee. MTSU debaters include Joshua Hendricks, a senior communication studies major from Jefferson City, Tennessee; Collin Dyer, a junior computer science major from Murfreesboro; and Nick Ged, a sophomore biology major from Smyrna. This year’s Irish team tour begins in Tennessee and Kentucky, then flies west to Montana and Washington, before concluding in Georgia and South Carolina. The Irish champions will be honored judges at the USU American BP national championships to be held at Clemson University, April 13-15. They’ll fly home from Atlanta to Dublin on April 16. MTSU also hosted the Irish Times champions in 2017 and 2015. Communication Studies instructor Natonya Blackmun Listach assists Richey by helping the Blue Raider Debaters with individual events. A campus map is available at http://tinyurl.com/MTParkingMap. Off-campus guests attending the event should obtain a one-day permit from MTSU’s Office of Parking and Transportation at 1403 E. Main St. or online at www.mtsu.edu/parking/visit.php. For more information about the MTSU debate team, visit www.mtsu.edu/debate, or contact Richey at Patrick.Richey@mtsu.edu.